For those that don’t know who or what the Art Department is, they are a rap trio from Bulawayo with members Tone Lakeside, Robbie Illsicker, and recently joined member Navy Seal. They released their first single Ride With Us which we profiled on the site earlier in August (featuring songstress Alaina) off their forthcoming album While You Were Sleeping, which landed them on the number 3 spot on the School Of Hip Hop Top 10 chart show on Power Fm. 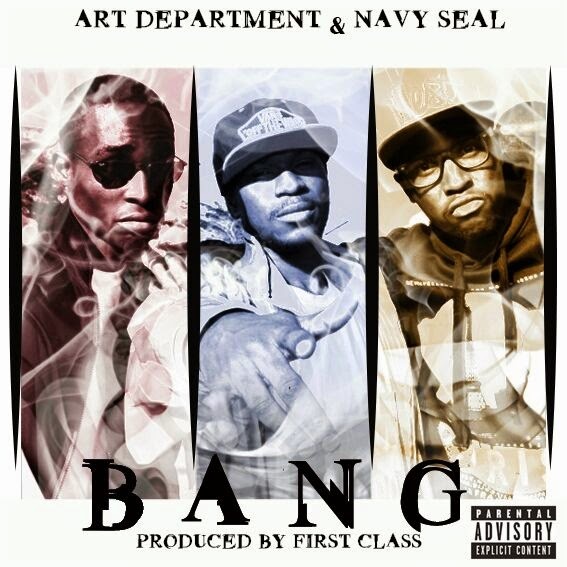 Now they are back again with a second single offering called Bang, which was produced by renowned Bulawayo producers First Class. We had the privilege to listen to the song prior to its release and it’s safe to say the boys never disappoint. The song is a turn up banger, with vibrant street bounce and lyricism which can definitely catch the ear of any hip hop head. It speaks of how the crew goes hard with a bang at what they do, be it rap, hustle, or all-purpose aspects in their lives. They talk the talk, but the question is can they walk the walk? Their album While You Were Sleeping speaks of how the industry, and the public has been sleeping on the Art Department for a while now, and while they were sleeping, the Art Department were in the studio working on making their significant mark in the industry. The album is set for release before year end.